Compared to conventional cotton, there is much more care taken when harvesting organic cotton since much of the time it is done by hand. The absence of pesticides and herbicides also contributes to the durability of the material. When starting with organic cotton you end up with a much higher quality product with greater durability. Thread count refers to the number of threads in a specific area, for example a 300 thread count sheet has 300 threads in 1 square inch. A higher thread count in a sheet can make a difference in how the product feels, for example, a higher thread count sheet can be softer, but it isn’t the only factor to consider. One of the main things that can be overlooked when judging the quality of a cotton textile is the quality of the raw material that is used. Cotton fabric can be made from higher or lower quality cotton, this factor, called staple length, plays a large part in how the fabric will feel and wear over time. Cotton yarns can be made from either short or long staple and can be made from a single or multi pick cotton. Staple is the term that refers to the length of the fiber. For example Egyptian cotton (found in our products made by Under the Nile) is so prized because it is a variety of cotton that has one of the longest staples. When making cotton yarns, microscopic knots are used to hold the individual pieces of cotton fiber together. The longer a fiber is, the less it has to be tied (thus less microscopic knots), and therefore the softer the finished product. The shorter the staple, the more knots it will have and the rougher the feel. A textile made with short staple cotton will also yield a weaker fabric. Single pick vs. multi pick is a term that is used when a yarn is woven in a loom and has to do with the care that is taken. The machines can either grab one strand of fiber vs. several fibers at the same time during the weaving process. There is a higher risk of stressing and damaging the fiber when using the multi pick method. There is also a higher probability of manufacturing mistakes with the multi pick method. All of the organic sheets that we sell at The Natural Sleep Store are made from single pick organic cotton. The Natural Sleep Store offers durable and soft long-lasting organic sheets crafted with high quality organic cotton. These selections are made using long staple fibers in a variety of thread counts. Our favorite organic sheets are made by Sleep and Beyond, Gotcha Covered, and Coyuchi. 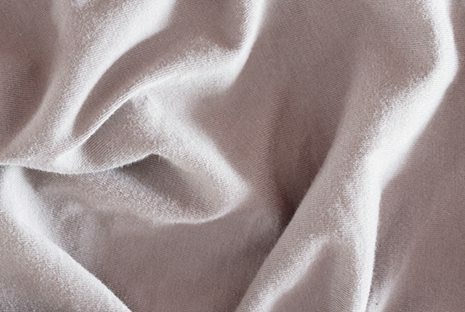 Whether you are looking for woven sheets or knit blankets, knowing the names of the different types of fabric weaves and what sets them apart will help you choose the best (organic) bedding to create your most comfortable sleep experience. For more info on different types of organic cotton fabric, please read Part 1 of this blog: Sateen vs Percale and Knit vs Woven.